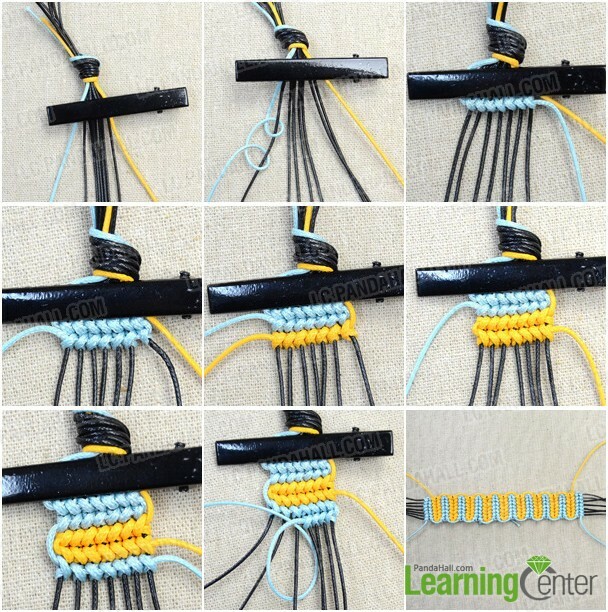 Summary: Here I'm gonna to show you a tutorial on how to make an easy friendship bracelet with half hitch knots. Hope you like it! We all have friends, friendship is to human what water is to fish. We share our sorrows and happiness together. 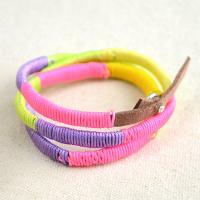 So make your own friendship bracelet for your best friends! Here we go! 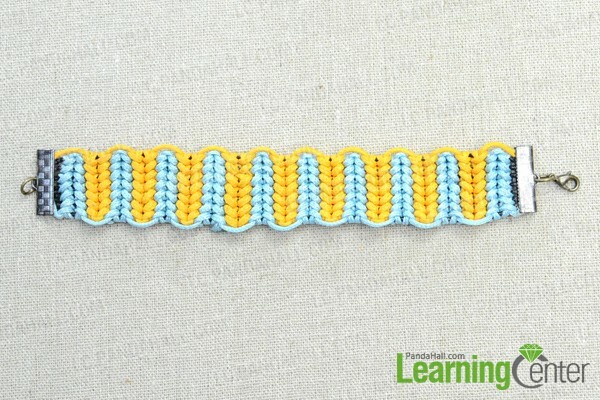 6th, repeat 2-5 in step1 until it matches your wrist. 3rd, untie the first knot you tied in1st in step1, similarly handle it with a ribbon end. 2nd, attach a jumpring to the other ribbon end, add a lobster clasp to the jumpring. Tada! 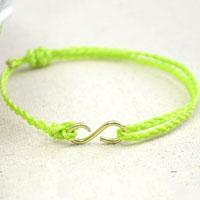 We have finished this best friendship bracelet with half hitch knots! Beautiful! Right? 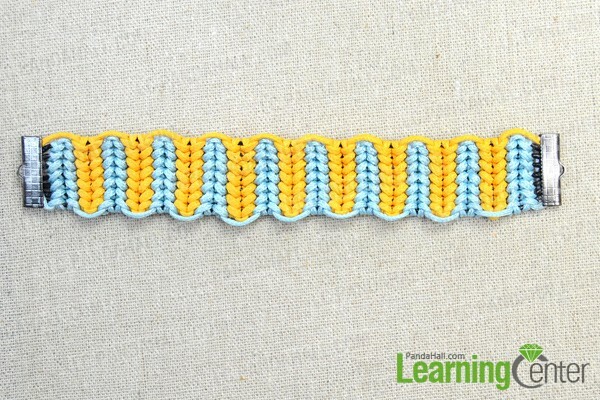 You can make your own friendship bracelets at your will if you have mastered some basic skills .Please stay focus on following articles! wooooooooooow nice where do u learn to make this kind of bracteate?